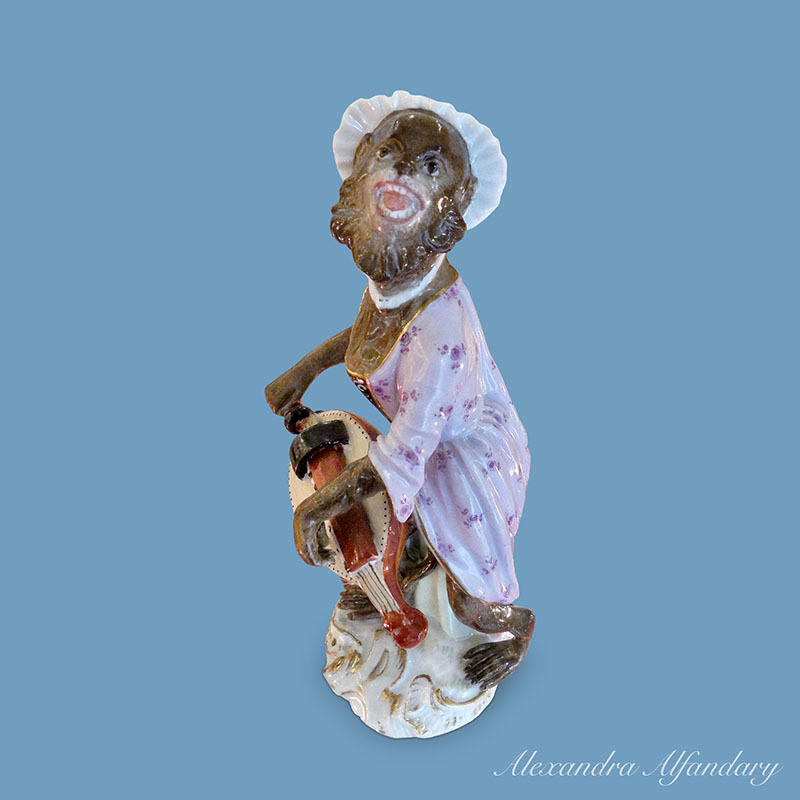 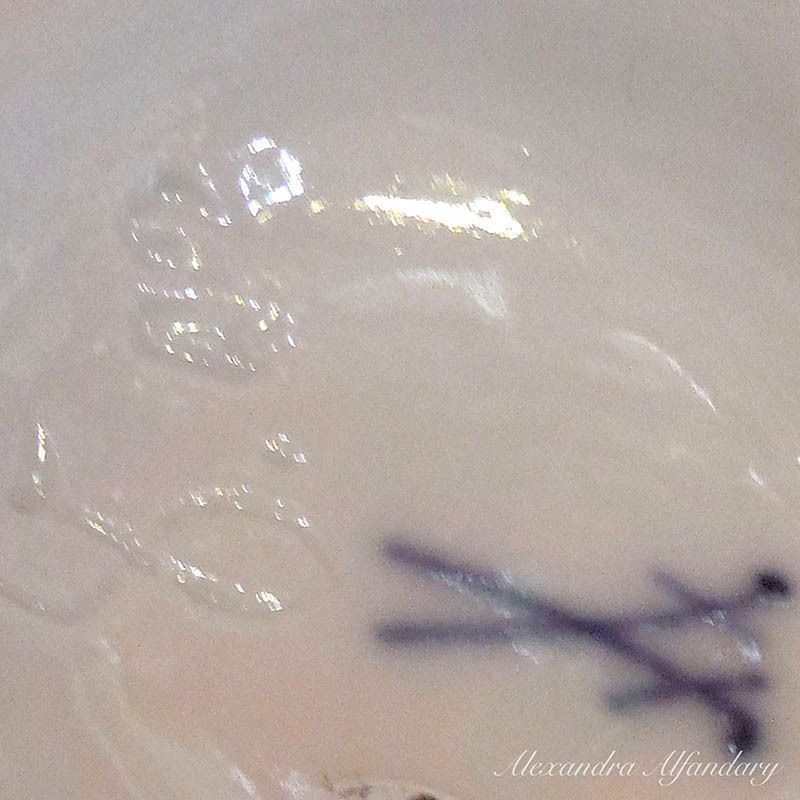 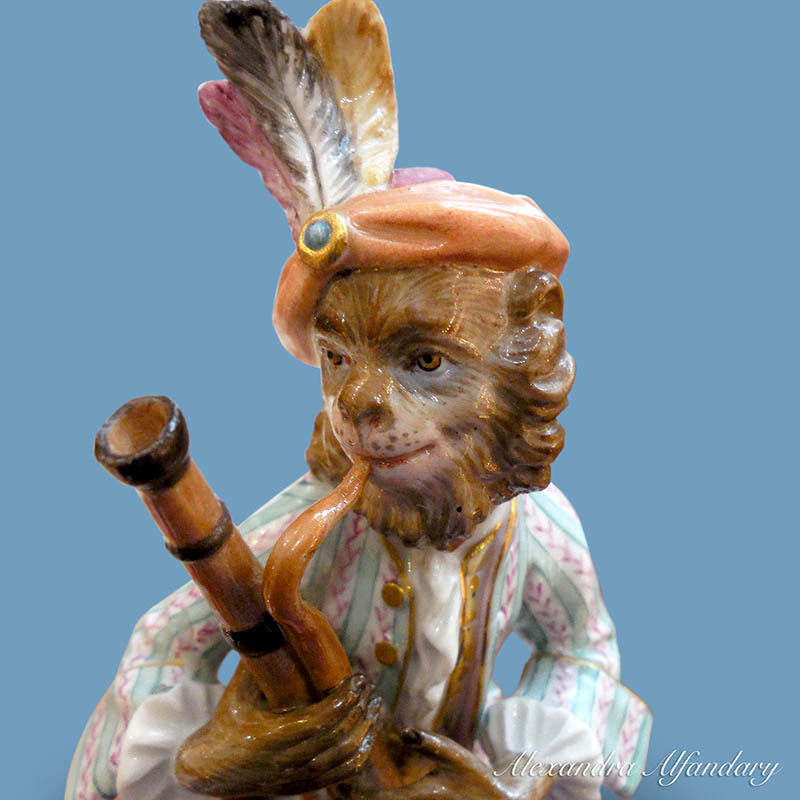 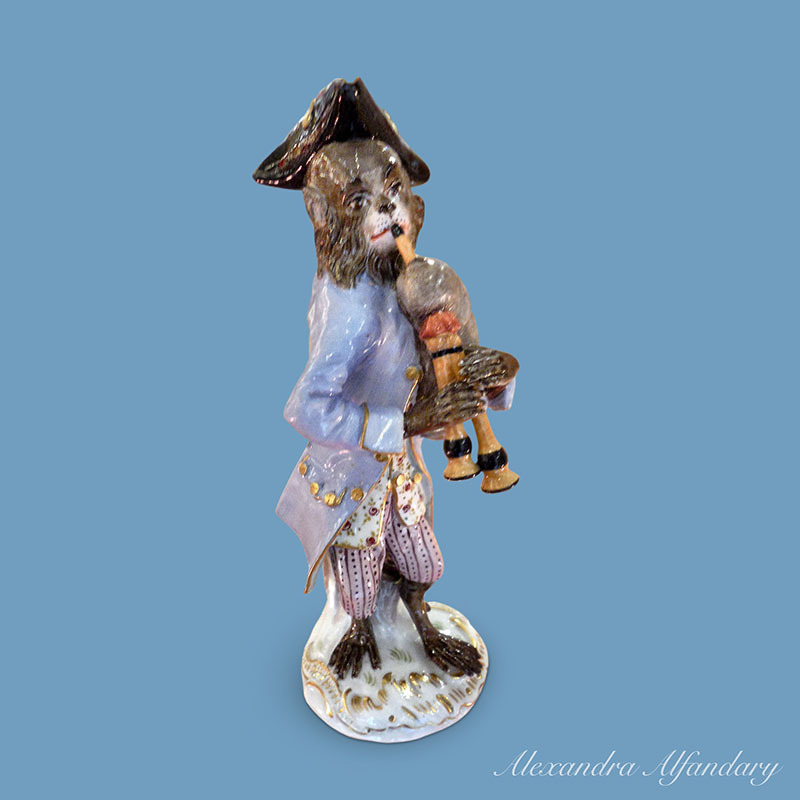 The Meissen porcelain monkey musicians are from the collectable Meissen Monkey Band after 18th century models by J. Kaendler, the Meissen monkeys are only a sample of the many models we have in stock. 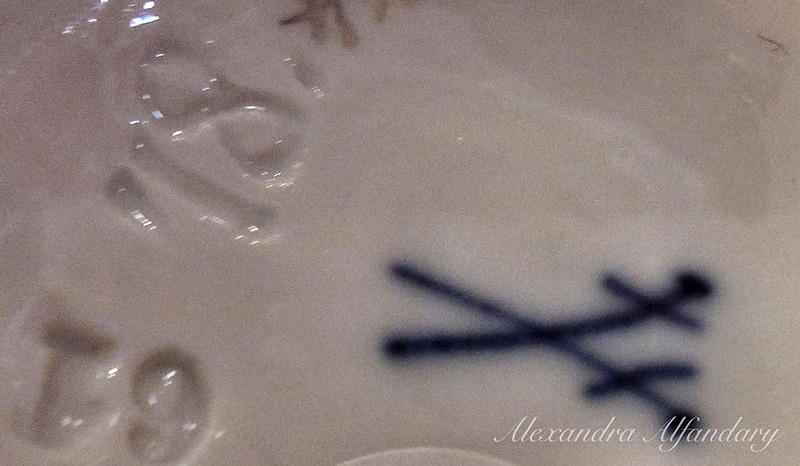 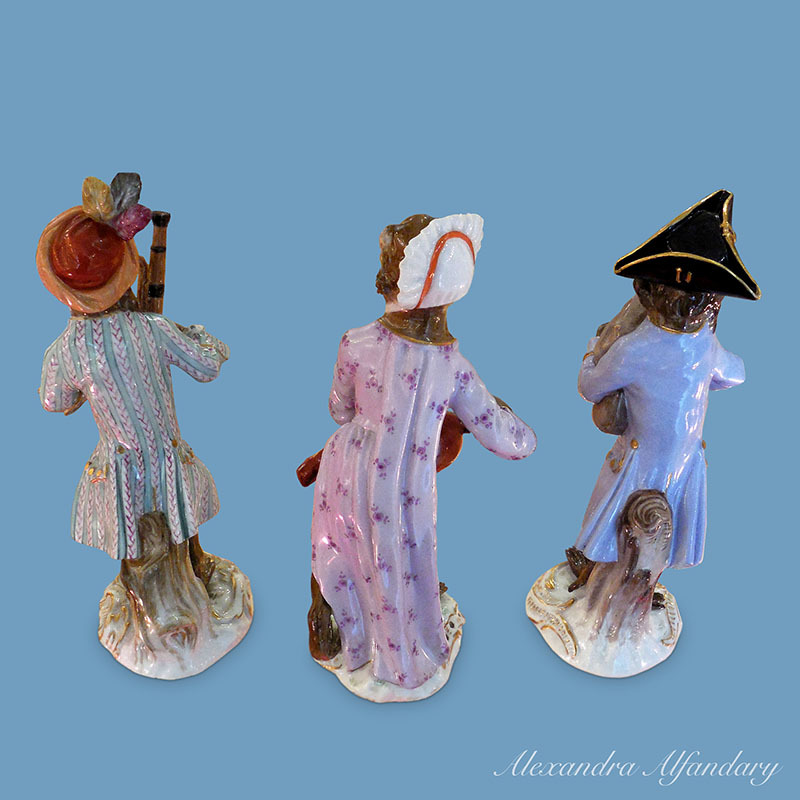 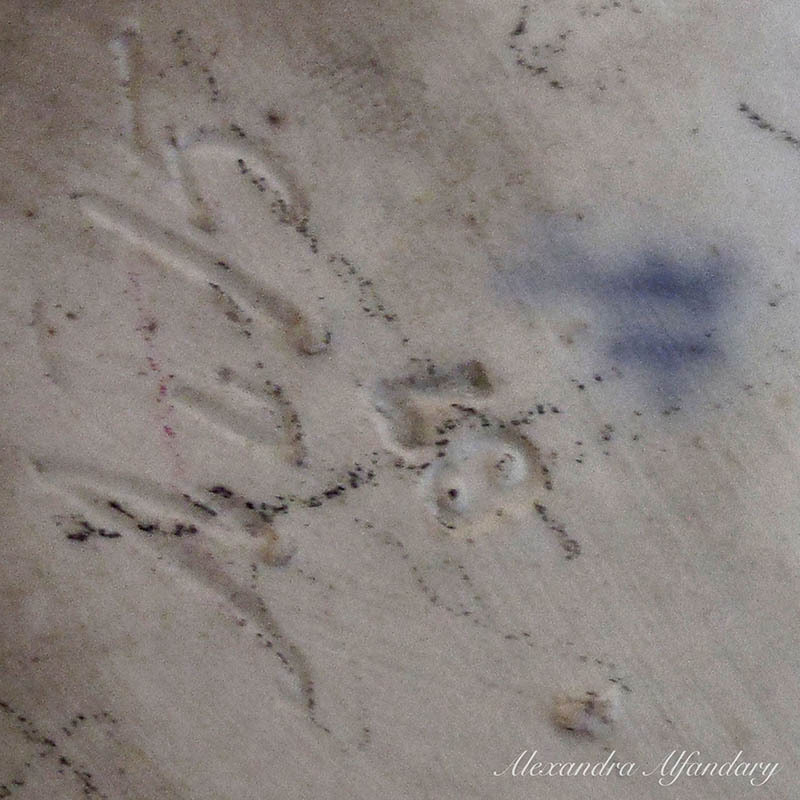 These models are of the oboe player, the female mandolin player and the male pipe player. 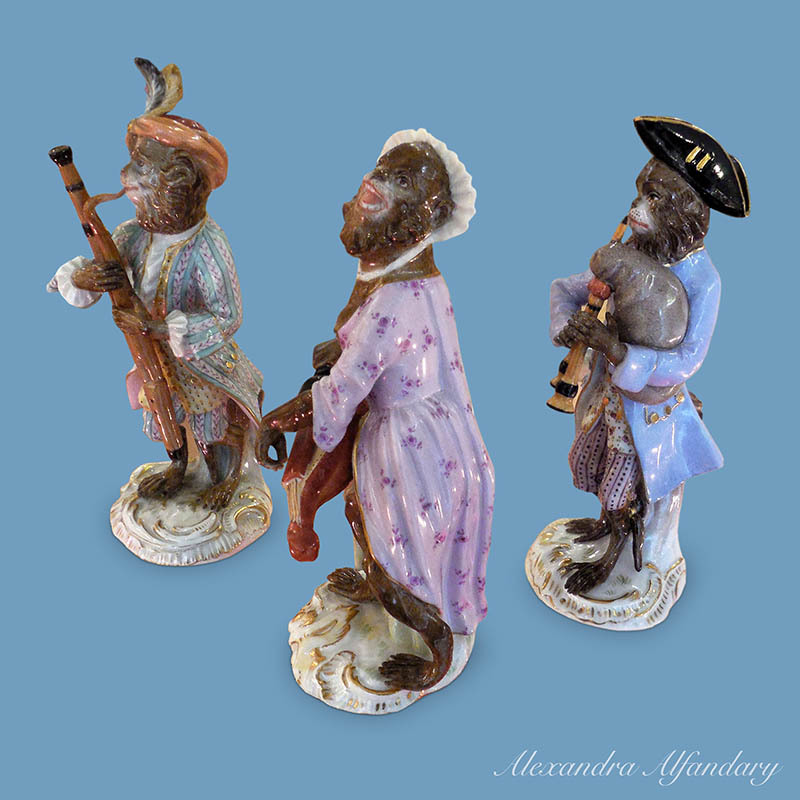 The Oboe player has detailed and unusual decoration with striped coat and breeches with light green stripes and yellow waistcoat, the mandolin player with a pink dress decorated with scattered red flowers and the pipe player a powder blue coat, pink striped breeches. 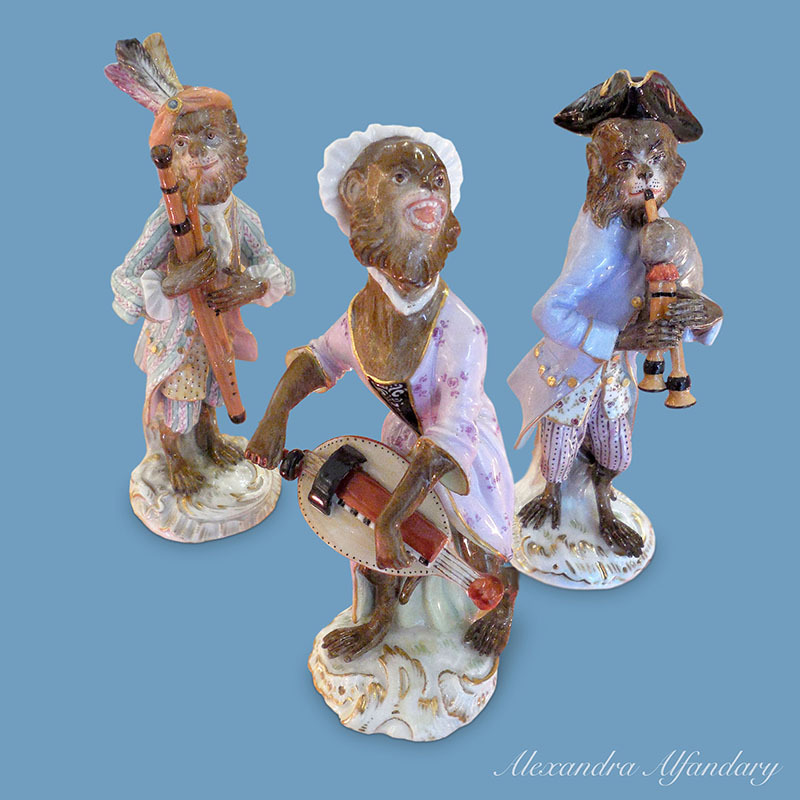 All monkeys with expressive faces and well defined modelling, subtle colours to decoration, all monkeys c1880.